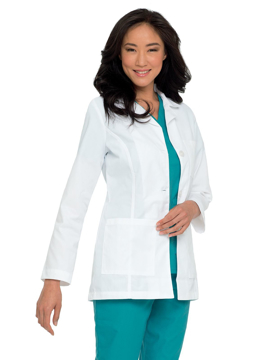 A classic women's three button lab coat with one chest pocket and two large lower pockets. 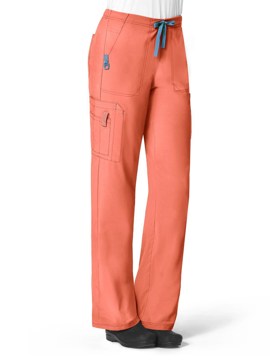 Also includes a notched lapel, button tab back belt, and front and back princess seams. Center back length: 31⅜".